Monday, a few hours after CHS posted about the $2.7 million sale of the Anhalt building at 16th Ave E and E John to a developer planning to overhaul the 1930-era building into a new apartment project, the City of Seattle’s Department of Neighborhoods sent out information on the old building’s nomination for landmark status. The announcement of the nomination and hearing details are below. We’ve also included the usually worth-a-read nomination document including pictures from inside the structure used as Group Health offices for decades. As we’ve reported in the past, landmark status doesn’t stop properties from being developed — it only shapes the development. 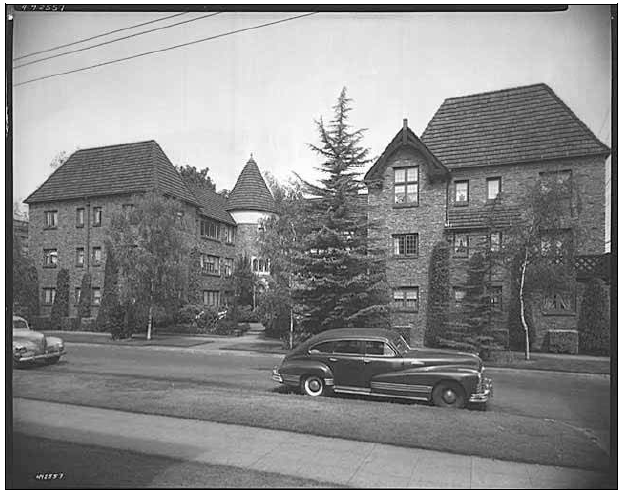 August 20, 2012 (Seattle, WA) – The Landmarks Preservation Board will consider landmark nomination for the Anhalt Apartment Building located at 1600 E. John Street in Seattle. The meeting will be on Wednesday, September 5, 2012 at 3:30 p.m. in the Seattle Municipal Tower, 700 5th Avenue, 40th Floor, in Room 4060. The public is invited to attend the meeting and make comments. Written comments should be received by the Landmarks Preservation Board by 5:00 p.m. on September 3 at the following address: Seattle Landmarks Preservation Board, Seattle Dept. of Neighborhoods, P.O. Box 94649, Seattle WA, 98124-4649. The Landmarks Preservation Board is coordinated by the Seattle Department of Neighborhoods Historic Preservation Program. The Historic Preservation Program handles the identification and protection of more than 450 historic structures, site, objects, and vessels, as well as eight historic districts throughout Seattle. For more information, contact 206.684.0464. So nice to see the detail photos and read about the building’s history. The developer commissioning this landmark nomination seems like a sign the future integrity of the building is in good hands. How Funny! I was JUST thinking about it this morning when I went by it. So GLAD! It would have been too bad if it had gone to wrack and ruin. Thanks “jseattle” for providing the interior shots. The dropped tile ceiling and fluorescent lights are a poignant reminder of the ugly, utilitarian adaptations in converting this to office space. I hope that the original fireplaces can be restored. Hats off to the developers! The building is a gem. This building is magnificent. I love it, and Anhalt! Nice to see the photo documentation. I look forward to following the progress of converting this building back into homes. Can’t wait to tour the finished product!